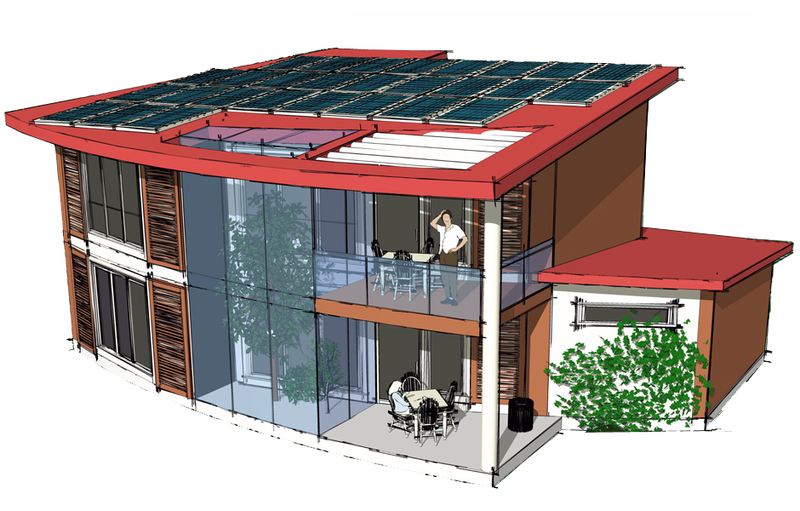 SHIFTboston blog» Blog Archive » Announcing the Passive House Design Competition! Guergana Barabonkova - Graduated from the University of Architecture, Civil Engineering and Geodesy in Sofia, Bulgaria. Lives in Winchester, MA and currently is the principal of her own firm “Studio GB Architecture & Design” and is the co-founder of the Passive House Bulgaria since the summer of 2011. Passive House Bulgaria is accredited by the Passivhaus Institut Darmstadt, Germany to conduct training courses for Passive House Designer and Consultant, examinations for certification, and to make the first correction of the exam. Mrs. Barabonkova is accredited by the U.S. Green Building Council as a LEED AP BC+C and is also trained by the Passive House Institute US and the Passivhaus Institute in Darmshtadt, Germany. She also teaches at the Boston Architectural College. Her current work includes a single family house in Bulgaria aiming for Passive House certification, and a single family home renovation in Winchester, MA. Ms. Barankova has also recently initiated the first electronic Passive House Architectural Design Competition. The Passive House Bulgaria Competition challenges the architectural community to develop affordable, low energy, single-family houses, focuses the public attention to this new type of energy efficient buildings, and promote the design and construction of Passive Houses in Bulgaria. We were interested in her competition and wanted to learn more about Passive Housing and what inspired Ms. Barabonkova to create this competition. SB: Is this the first Passive House Competition? GB: This is the first electronic design competition for design for a passive house in Bulgaria. Passive House Bulgaria as the organizer of this competition challenges the architectural community to develop affordable, low energy, single-family houses and to prove that the passive houses can be beautiful and affordable. Our main goals are: – to focus the public attention to this type of energy efficient buildings, which achieve energy savings of 90% for space heating and savings of 60-70% for the overall energy use. – and to promote the design and construction of passive houses in Bulgaria. SB: Europe seems to be creating and designing more green homes and buildings than in America. Do you think this is so and why do you think this is happening? GB: Europe has been leading the way in sustainable and energy efficient buildings. The main reason for this is because in Europe the gasoline, natural gas, and energy in general cost significantly more than in America, and it has been that way for many years. The Europeans and the European governments are more cautious when it comes to the use of energy and conservation. In some European countries there are government subsidies for passive house constructions and low energy buildings. I think we are catching up a little bit here in the United States in regards of designing more energy efficient homes. We see more and more consumers, concerned about the economy and about the rising energy cost, who are looking make their homes energy efficient and to lower their utility bills. SB: Although this competition is centered in Bulgaria, do you think that the potential winning design could be replicated in other parts of the world and what do you think the likelihood of that happening is? GB: The Passive House standard takes into account the specific climate of the country (region) where the building will be built. The teams participating in the competition will be given the climate data for Sofia, Bulgaria. In these terms, the winning design cannot be replicated without being adapted to the particular climate of the country in which it will be built. A passive house, built in Southern Europe for example will need less insulation to meet the standard than a house built in Northern America. The principle remains the same, the goals are the same and the standard can be applied to all climates and for all countries. SB: What makes Bulgaria the best location for this type of design competition? GB: Bulgaria is a great location for this type design competition and for construction of passive buildings. The geographic location of the country and the mild climate are in favor of achieving the Passive House Standard. On the other hand, the country is located in Europe, where there is a big variety of passive house products and components, that are still not available in the United States. This makes it easier to achieve the standard without significant increase of the construction cost. Bulgarians, as the most of the Europeans are concerned over the high prices of the gasoline and the energy, and they are looking into finding ways to reduce their energy use, and the interest in passive house building is growing rapidly. It is important to add also that the European Commission has decided to boost Passive House development significantly by 2015, and the European Parliament has implemented the requirement that all new buildings in the EU must be near zero energy. SB: What inspired you to become involved with green design? GB: I became interested in sustainable design and energy efficient buildings few years ago when I decided, that if I am to continue working in the design and the architectural field, I needed to learn more about what I could do to help bring about a change. The buildings we design have to be energy efficient and healthy for the people and for the environment. A big impact in my career was the training I had by the Passive House Institute in US (PHIUS), and later at the Passivhaus Institut in Darmshtadt, Germany. I met amazing people, who are really making a difference through working for implementing the Passive House standard in Europe and in the United States. I strongly believe that in the next few years more and more passive houses will be built worldwide and I am very excited to be part of this movement. Below are the important dates and competition details. Registration opens soon. Good luck and thank you to Guergana Barabonkova for letting us know about this amazing competition! 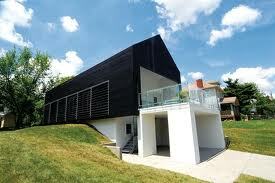 Prescott Passive House” in Kansas City, Kansas - Studio 804.